Tecumseh was a Shawnee Indian who was born near present day Chillicothe, Ohio. His father, Puckeshinwa was murdered by white settlers when he was very young. Tecumseh vowed on his father's death bed to get even with the whites. To make things worse, his mentor, a Shawnee chief named Cornstalk was also cut down in cold blood by white settlers. It is said that his mother, Methoataske, raised him from birth to make war on the European-American settlers who were invading their territory. As thousands of settlers settled in the Ohio Valley, Tecumseh united all of the local tribes in his efforts to stop them from taking all of their land. 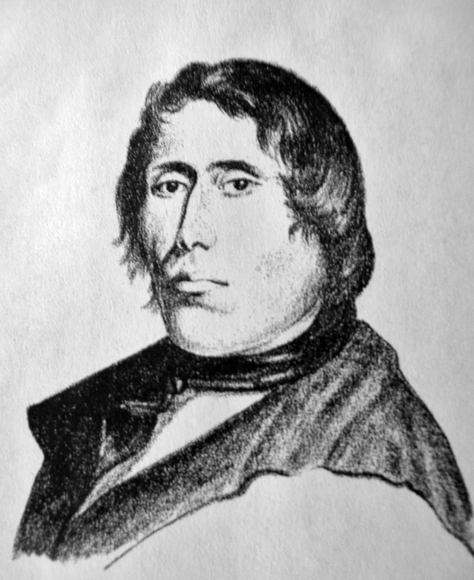 In 1790, He united the Shawnee, Delawares, Wyandots, Miamis, and Ottawa tribes. Before long they began attacking the local settlements, and wagon trains. This lasted until 1794, when the U.S. Army led by General “Mad Anthony” Wayne defeated them at Fallen Timbers. Tecumseh was well respected by white settlers and Native Americans alike. His word was good, and he was said to have forbidden the torture of his captives. Concerned about the still growing numbers of settlers he again summoned all of the local tribes in an attempt to form a confederacy whose main goal was to establish a Native American nation. By now, Tecumseh had become a brilliant orator. The confederacy would exist as a buffer zone with the United States to the east and Canada to the north. It didn't take long before the new governor of the territory, William Henry Harrison, became aware of Tecumseh growing power. Harrison decided that he could thwart the efforts of the most powerful tribes by coercing the weaker tribes into signing treaties. In all, Harrison negotiated 15 treaties. However, he was having little success in talking Tecumseh and his people into agreeing to the terms of a treaty. Tecumseh was particularly mad because Harrison had set up his headquarters at the same location that had always been used by the Shawnee for their capital. Tecumseh and Harrison had a hostile relationship and not much progress was made for a long time. As negotiations proceeded Tecumseh was always quick to remind Harrison that all of those that had signed a treaty before him had gotten screwed. He would then tell him about how there was a great need for a separate Indian nation. Harrison made a lot of promises, but nothing happened. Then in 1811, Tecumseh and his warriors began raiding the surrounding settlers. At the time they were headquartered in a village called Tippecanoe. Sensing an impending attack, Tecumseh again tried to rally the surrounding tribes, but to no avail. Then in September of 1811, Harrison and 900 troops converged on the village of Tippecanoe. Harrison demanded that they return all property that had been stolen in raids, and he wanted all of those that he was accusing of murder. Tecumseh's brother, Tenskwatawa, did the negotiating. He tried to talk them out of attacking. Instead, Harrison and his troops would wipe them out in less than two hours. Tecumseh managed to escape. He fled to Canada, where he was made a British brigadier general. He was in charge of a force that was made up of Indians and whites. Again, Tecumseh would met Harrison face to face on the battlefield at the Battle of the Thames in Kentucky. Tecumseh was killed during this battle on October 5, 1813.